I grew up in near Hull and studied in Leeds, where the likes of Henry Moore and Barbara Hepworth inspired in me a love of art. An Art Foundation Degree and First Class History of Art Degree later I left Yorkshire for London, where it would have been possible for me to visit a different exhibition every day if only I had had the time...slim pickings there most certainly were (and are) not!  With so much to choose from, it was London that inspired the creation of SLMpickings, a blog featuring reviews about my 'pick' of carefully selected exhibitions, experiences and events. As day to day life in the digital age continues to numb our senses, I'm intrigued by the 'experience revolution' and the rise in multi-sensory trends within the arts. It is because of this that i often focus my attention on immersive events, exhibitions and experiences.